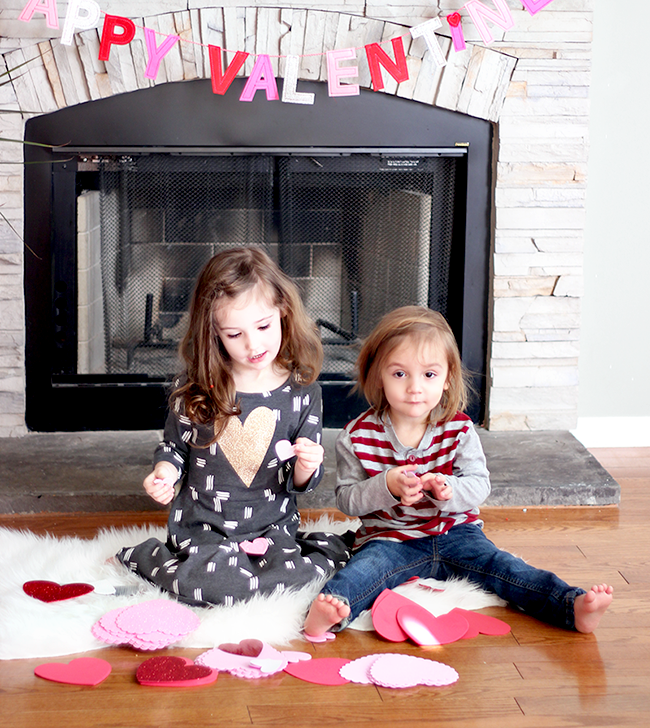 From Essley and Emmett (and Emmett’s fabulous hair), and all of us here at Bubby and Bean, Happy Valentine’s Day! Every year I say pretty much the same thing to you guys on this day, and it always starts with a disclaimer about how I realize some people aren’t a fan of this day – as if maybe I should feel a little bit guilty for posting about it in a positive way. Basically, I apologize for liking it (which I do and always have). And while I completely respect reasons for why people don’t like it (too commercial, excludes those not in relationships, love should be celebrated everyday not just reserved for one day, etc. ), I’m not going to apologize this year. And this is why: love deserves to be celebrated. We need love. Especially right now. These are troubled times, my friends, and if there is a day set aside to really focus on love, I’m going to embrace it. The concepts that define Valentine’s Day, to me, are kindness, friendship, compassion, generosity, and good old fashioned love. I’ll take it. So whether you celebrate or not, I wish you a day full of love. And may today’s love spread vastly throughout our country and the world, where I think we can all agree, it is very much needed.